Ladies! How tedious is the task of removing unwanted hair from your face, arms and legs? Very dreadful, isn’t it? The conventional methods of waxing, shaving, epilating or using hair removal creams come with their own baggage of disadvantages. Moreover, repeated process of such hair removal methods is time consuming without effective results. These methods add up to a large chunk of money after few years. What’s the best option for hair removal, you ask? It is undoubtedly, Laser Hair Removal method that does the job with a swift procedure giving lasting results. And when you add up how much spent on laser treatment for hair removal, you will realize that cost oflaser hair removal is much less than the cost of conventional hair removal methods. 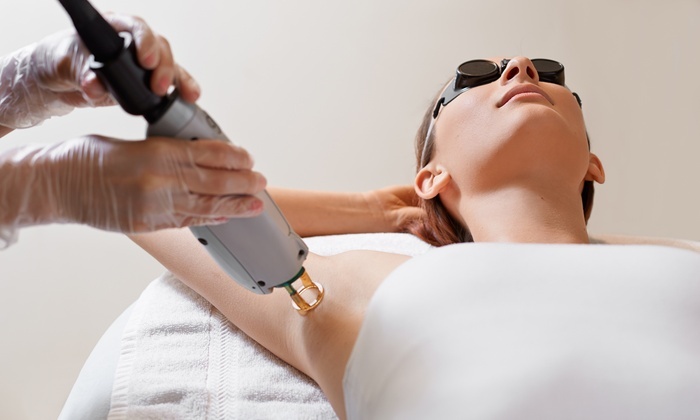 A quick look at how does a laser hair removal method works? Laser equipment emits a very sharp shaft of light that penetrates the skin’s surface. The light is absorbed by the melanin (a pigment that gives hair its color) damaging the hair follicle. Laser treatment weakens the hair follicles thereby, restricting the hair regrowth. The regrowth of hair from such laser treated hair follicles is very slow and many at times it is as good as nothing. Laser hair removal gives super effective results that traditional methods cannot assure. Traditional hair removal methods either bruise or stretch the skin, thus damaging the skin in the process. Laser hair removal method only burns the targeted hair follicle, keeping the surrounding skin intact. Advanced laser equipment is fitted with cooling component to keep the skin cool and safe, while laser beams infiltrate the skin’s surface. Laser hair removal gives long lasting results. Even if the hair regrows after long gap, it is fine and light colored. It’s just a rubber snapping against your skin feeling, when laser treatment is given for hair removal. Within few hours, you are good to go. Laser hair removal method’s results are immediately visible as your skin becomes clean and clear. Unlike other methods where stub is a common irritant and a serious put off. How about much feared side effects of a laser treatment? Straight to the answer: A trained practitioner in laser treatments does the job very well. DON’T ever go to an untrained, hygiene compromised clinics to get a laser treatment. If done as it is required to be done, laser hair removal is no concern at all. To cover the laser treated area as advised by your dermatologist. To apply generous blob of moisturizers on laser treated skin. To apply sun screen lotion religiously. To stick to the post-laser treatment regimen recommended by your dermatologist. Author Bio: Janhavi. Blogs for The Gorgeous Club In love with skin care related topics that are ever evolving and ever challenging.